‘Smug’: adjective – having or showing an excessive pride in oneself or one’s achievements. Eg, “he was feeling smug after his win”. synonyms: self-satisfied, complacent, self-congratulatory, superior, puffed up, pleased with oneself, self-approving, well pleased, proud of oneself. Yes, that’s STT: but our sense of self-satisfaction is not gleeful. STT has been spelling out the wind power fraud, its causes and consequences since December 2012. However, until now, it has been like bashing our heads against a brick wall: relief only comes with cessation. 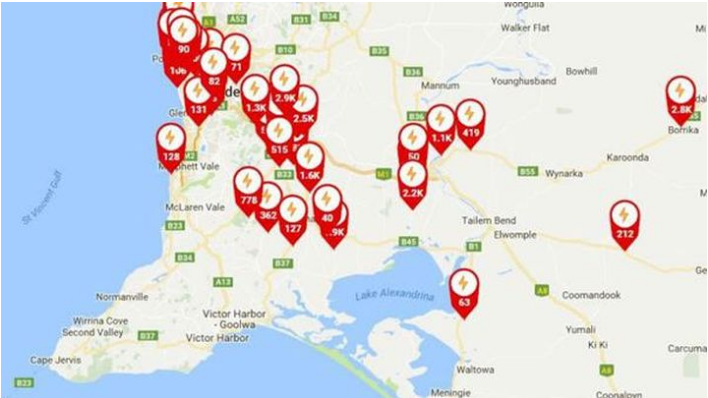 Frustrated and angry at the morally bankrupt idiots the pretend to govern us and, worse still, parade as energy experts without the first clue about electricity grids or electricity markets, STT can only fume at the results playing out in South Australia and beyond.